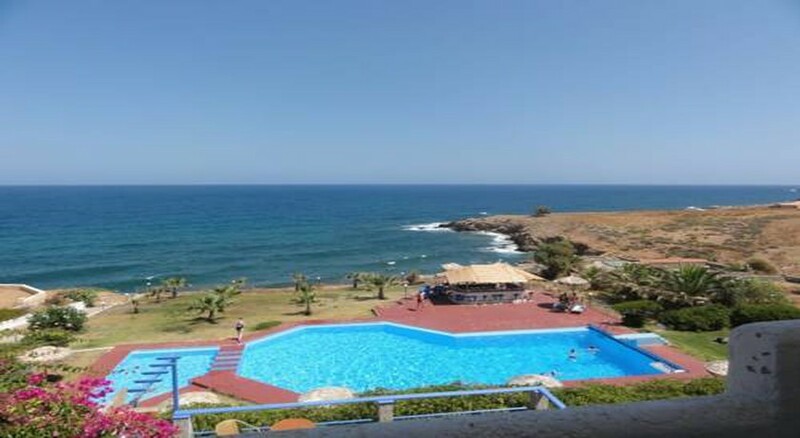 A Marvelous family-friendly hotel situated off the E75 highway, Stella Beach Hotel Panormo is a perfect destination for those seeking some peace and quiet. It is just halfway through to Heraklion at 55 km and Rethymno at 21 km, which are the two main cities of Crete. Stella Beach Hotel Panormo faces the Aegean Sea. It was built in 1991 on a huge 9-acre property on the outskirts of Panormo. The hotel has 45 rooms and a plush 150 square meters swimming pool for adults. There is a smaller one of 25 square meters for children too. Stella Beach Hotel Panormo provides free Wi-Fi in the public spaces. There is a free parking space for the guests here. Guests can laze around in the natural beaches at walkable distance from the property. The hotel provides money changing facilities for the guests. Stella Beach Hotel Panormo is easy to access to the plenty of natural and sandy beaches at Panormo. The hotel is set in a Venetian building in the center of Panormo. 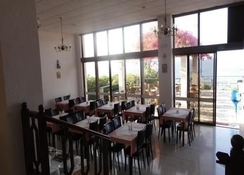 Stella Beach Hotel Panormo enjoys an excellent location, which gives the tourists direct access to the old town of Rethymon at 21 km away. The city centre is located at a distance of 1 km from here. 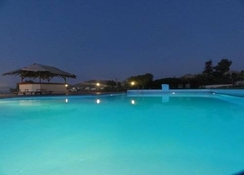 Guests can reach here via the Nikos Kazantzakis airport which is a 55-minute drive from here. For mobility, there is a taxi rank available at around 200 meters from the property. The rooms at Stella Beach Hotel Panormo are quite comfortable and clean. They are serviced daily. 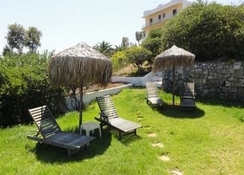 The rooms feature a shower, two single beds, TV, air condition and a balcony facing the Aegean Sea. The rooms are equipped with an in-room safe, climate control, IDD telephone and a balcony provided in each room. The bathrooms are very comfortable and equipped with a hairdryer and some toiletries. Refreshing and exotic drinks are served at the sky bar. 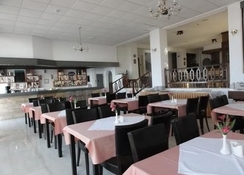 The hotel also provides dinner and breakfast in the restaurant in the terrace where can enjoy a sumptuous meal facing the wide sea. The bar and restaurant also serve light snacks throughout the day. For those who want to try some exotic cuisines, can try the Steakhouse Cul De Sac located at 350 meters from the property. Guests can avail a continental breakfast from the buffet between 8 am to 10 am. An inviting sundeck and an outdoor swimming pool are the two main leisure facilities here. Children can entertain themselves at the children’s pool. The beach is just a short walk away to relax in and soak up the sun. There is a leisure/TV room to enjoy shows and sports.